One of my favourite writers is Ben Fowlkes, who covers MMA for Sports Illustrated, and his articles have gotten me thinking about what would happen if we started rating metal bands like we did professional fighters. So in homage to Fowlkes, here are some highly anticipated bands releasing albums in 2011, their fight records (as judged by the quality of their actual recordings) and what they can do to get to the top of the rankings. 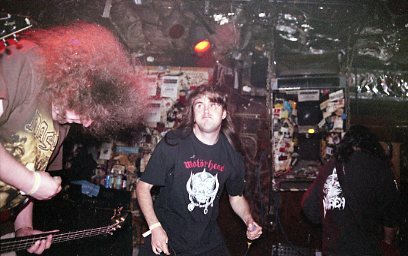 The undisputed champions and creators of grindcore, Napalm Death are the Gracie family of extreme metal; the band who ushered in a new era for metal and changed the rulebook on how it was played. Napalm have been on a hot streak for the last 10 years, with 5 exemplary albums from 2000's Enemy of the Music Business to 2009's Time Waits for No Slave re-establishing their dominance of the genre, and yet without abandoning the experimentation that made them so unpredictable in the 90's. With a new album in production, the odds are that Napalm will deliver another definitive statement on why they're so highly revered. 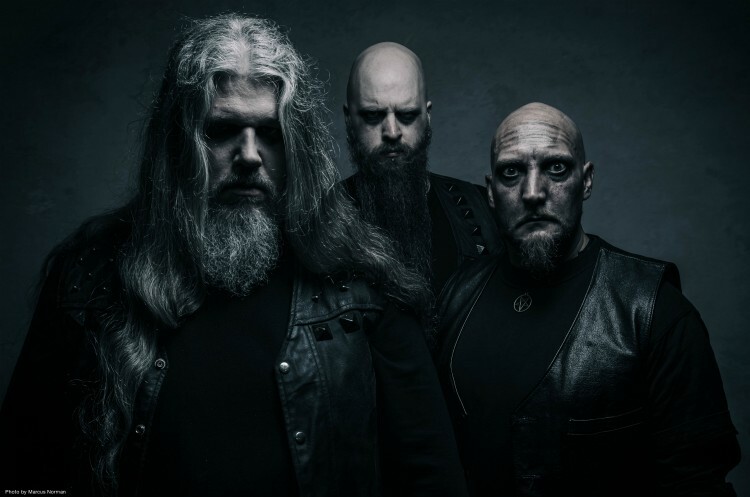 The best Swedish black metal band since Dissection, Naglfar have been working slowly yet steadily to make their presence felt as one of the top-tier bands of the genre. Though they have a reputation of straying a little too close to the commercial side of black metal, one can hardly argue with the results: Harvest, one of my top ten albums from 2007, is an absolute beast of an album, one that perfectly balances Naglfar's flair for catchy tunes with blackened perfection. If they can follow it up with more of the same (without having it sound like just more of the same), their place at the top of the totem pole may finally be secured. The previous decade was not kind to Deicide. Starting with 2000's bafflingly groove-oriented Insineratehymn, Deicide released a string of uninspiring albums that made it hard to remember why they were such an awe-inspiring force in the early years of death metal. But 2006's The Stench of Redemption was a complete reversal from all that, a jaw-dropping display of melodic virtuosity seemingly on loan from Glen Benton's other band, Vital Remains - only delivered in blistering 3-4 minute pockets. Unfortunately, their most recent album, Til Death Do Us Part, was a Deicide-by-numbers release in which most of that excitement evaporated. Here's hoping that Glen and the boys have learned their lesson, and that the upcoming To Hell With God - out in March - will re-establish them in the ranks as death metal top contenders. No band risked their legacy more with a reunion than Cynic; their 1993 album Focus was almost immediately considered a death metal classic, signaling a shift in death metal attitudes from pure brutality to musical maturity and a fearless love for melody and experimentation. No less than death metal cornerstone Chuck Schuldiner championed the album, and Cynic's influence went on to colour the last 4 albums of his career. So when they announced Traced in Air, their first new album in 15 years, the potential for tarnishing their good name was high. Thankfully, Traced was an absolute masterpiece, a stellar example of how to write progressive death metal that's actually listenable, and an album that may actually eclipse their debut. How their third album, tentatively scheduled for Summer 2011, can compete with that is unclear, but there are few things I'm looking forward to more in the coming months. No band's decline has been more painful for me to experience than Sepultura's, as they singlehandedly dragged me into the underground. Since Max Cavalera's departure in 1996, what was once the most important band in metal has been losing ground with a series of somewhat interesting but not necessarily great albums, the nadir of which was 2009's A-Lex, a pointless concept album that lacked conviction and seemingly tried to be all things to all people. The absence of drummer Igor Cavalera does not bode well for Sepultura, who haven't been relevant in almost 15 years. Just as MMA legend Chuck Liddell was forced to retire following a series of brutal losses, Andreas Kisser and Paulo Junior should be urged to put the Sepultura name to rest until the inevitable reunion with Max and Igor. Otherwise, they run the risk of permanently ruining one of the most important institutions in metal.